It is a week of lengthy game names, with the Fate of Two Worlds at stake, one game imploring to Let Us Cling Together and one visit to the Realm of Revelation. What new games await us, Kotaku readers? 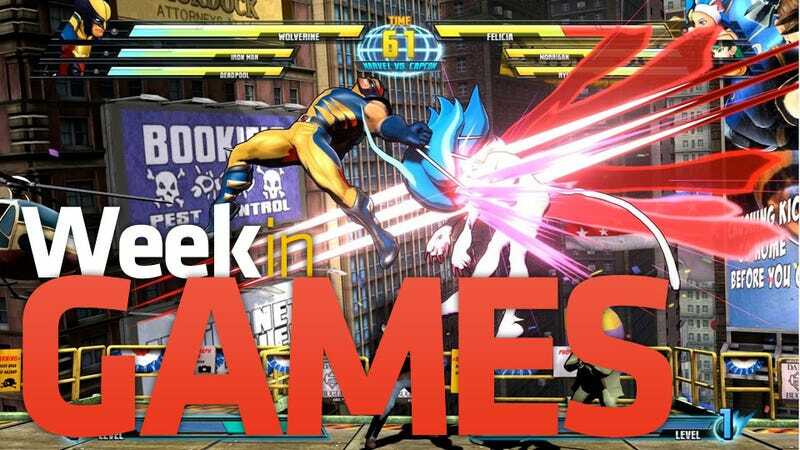 A new Marvel Vs. Capcom, a new Tactics Ogre and a new old Dragon Quest, quite possibly the biggest new releases in store for the week that kicks off with Valentine's Day. Two new Kinect games arrive, the video game that lets you play with girls as video game consoles comes stateside and three Gears of War products come together in a triple pack. Feb. 22: Bulletstorm, Killzone 3, Radiant Historia, de Blob 2, Knights Contract. March 1: Fight Night Champion, Rift. March 6: Pokemon White, Pokemon Black March 8: MLB 11 The Show, Major League Baseball 2K11, Dragon Age II, Patapon 3.